The state of marketing in 2014. 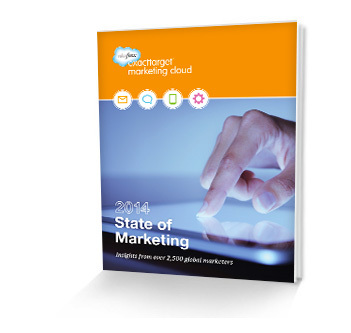 See modern marketing strategies by the numbers—collected from a Salesforce survey. New areas of focus for marketing spending. Top marketing priorities for 2014. A big shift in lifecycle marketing. Download the 2014 State of Marketing report to analyze industry trends and help plan your marketing strategy for the coming year.